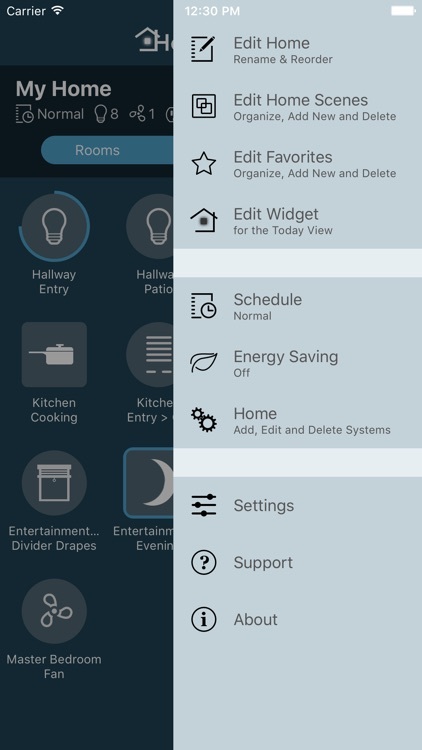 HomeSense turns your iPhone or iPad into a command center for your Lutron automated home. HomeSense supports Lutron RadioRA 2, Lutron HomeWorks QS, as well as Philips Hue Personal Wireless Lighting, Sonos speakers, Nest Learning Thermostat, Nest Protect, Honeywell Lyric Thermostat and HomeKit, providing seamless integration between these systems. See the state of your connected devices, rooms, and convenient summary of your whole home, and control lights, fans, shades, thermostats, edit schedule and more. 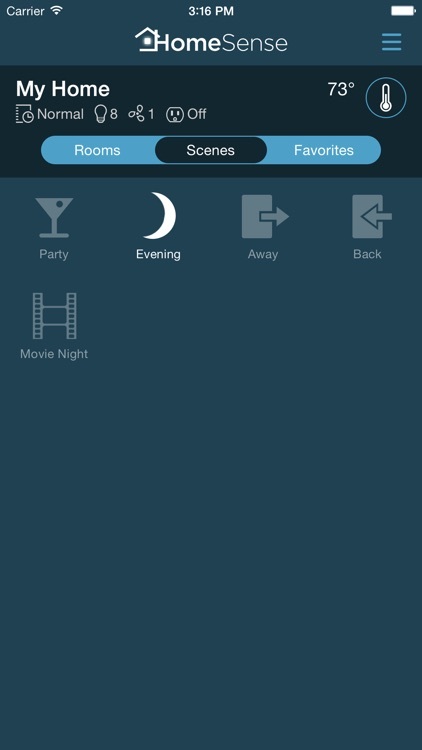 With Notification Center widget, favorites, home and room scenes, HomeSense is flexible, convenient and easy to use. With HomeSense Classic you can control RadioRA 2, HomeWorks QS, Philips Hue, Nest Learning Thermostat and Nest Protect. With a separate purchase, you can also control Honeywell Lyric Thermostat and Sonos speakers. 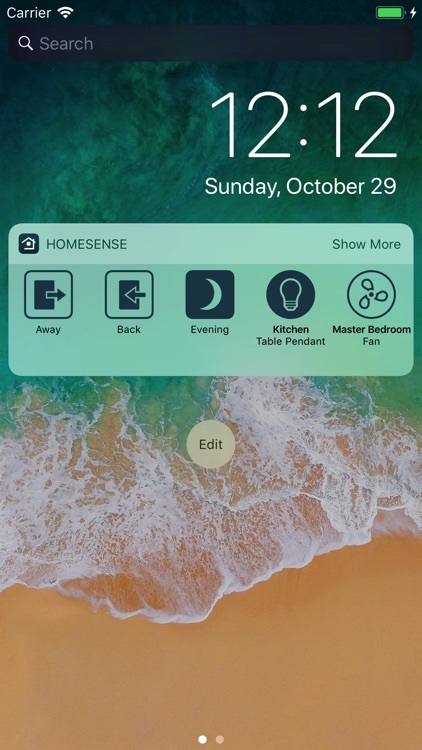 Integration with HomeKit is available through HomeSense for HomeKit app. 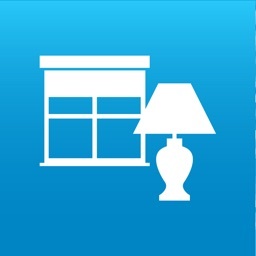 - See and control lights, ceiling fans, shades, blinds and thermostats from the application. 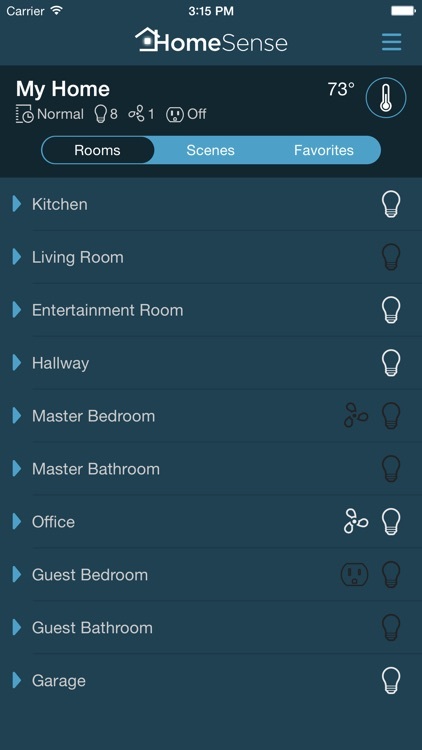 - Home overview shows the state of every room and makes it easy to see what rooms have lights or fans on. - Add often used controls or scenes to the Favorites. Any light, fan, shade, or even individual keypad button can be added to Favorites to appear on a separate screen. Tap to toggle, or tap and hold to open the detail view. - Create your own home and room scenes that can combine devices from different systems. - Turn off all lights and fans in a room with a single gesture - just choose “All Off” action on the room (iPhone only). - Set up additional actions for a room to be recalled quickly from actions menu (iPhone only). - Organize your home: manage rooms, rename controls and keypad buttons, hide unwanted devices. - Today widget lets you access selected controls or scenes without launching the app. - Change switch type - choose if switch controls an outlet, light or fan. - Adjust device defaults - set default brightness, fade-in and fade-out time for dimmers, set default speed for fans. - iCloud sync keeps your home configuration up-to-date on all of your devices. - View and edit scheduled events, keypad button programming and thermostat schedules. - Change schedule and energy saving (“Green”) mode. - Access remotely by setting up VPN connection. Some functions may require firmware update. - View and edit scheduled events, including events relative to sunrise or sunset. - Supported devices include outlets, switches, lights, fans, shades, blinds, thermostats, door locks, garage door openers, and sensors. - Scheduled events support both weekly events, as well as a time triggers with repeat intervals from one month to 5 minutes. - Play, pause, and control volume. - Select a playlist or a station to play from your Sonos favorites. - For Lutron RadioRA 2, HomeWorks QS or GRAFIK RA 2, professionally installed system connected to home WiFi network. 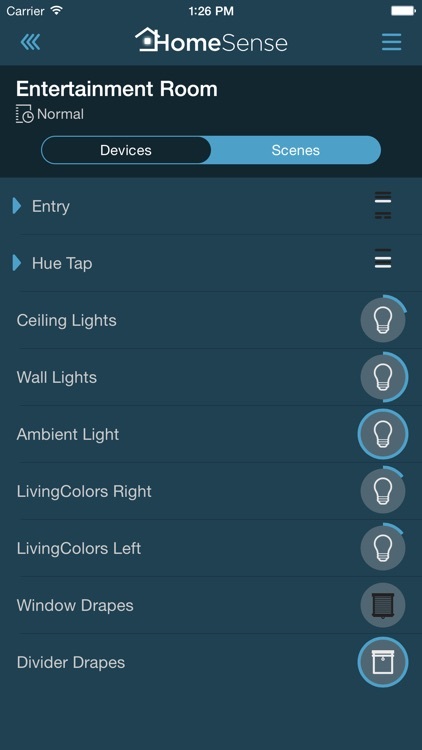 - For Philips Hue, Philips Hue lights with bridge connected to home WiFi network. - For Nest, Nest Learning Thermostat or Nest Protect with working Internet connection. - For Lyric, Lyric Round Wi-Fi Thermostat, Lyric T5 or Lyric T6 Pro Wi-Fi Thermostat with working Internet connection. 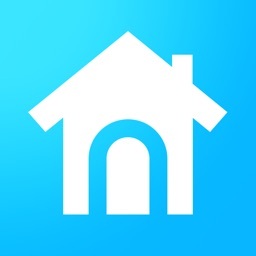 - For HomeKit, HomeSense for HomeKit app and iOS 9 or newer. Lutron, HomeWorks, RadioRA are trademarks of Lutron Electronics Co., Inc registered in the US and other countries. 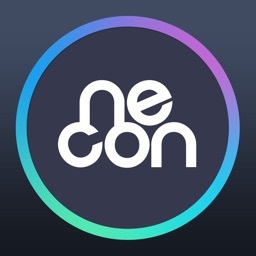 RadioRA 2, GRAFIK RA are trademarks of Lutron Electronics Co., Inc.
Nest®, Nest Learning Thermostat®, Nest Protect®, Nest Protect: Smoke + Carbon Monoxide®, and the Works with Nest logos are trademarks licensed by Nest Labs, Inc. Lyric, Lyric Round are trademarks of Honeywell International Inc.
Sonos and Sonos product names are either trademarks or registered trademarks of Sonos, Inc.